Looking for a drywall hanger, installer in Sanford to do some installation work? 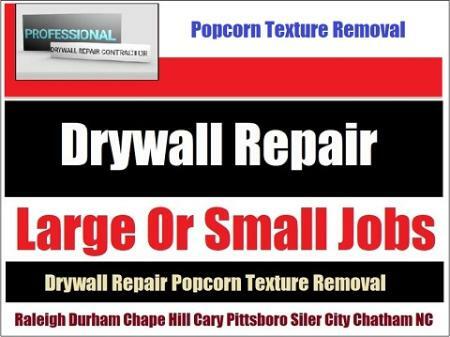 Call Drywall Specialist an experienced, skilled, trained, expert with years of hanging experience. A contractor offering affordable prices and free estimates on large or small jobs. Hanging, nail pop, poorly finished joints, holes, cracks, loose cracking tape and metal corner bead, stress, settlement and spider web cracks, wet and water stained or damaged walls or ceilings can look like new. 919-742-2030 Drywall Hanger Installer Full Service Contractor Sanford. Sanford NC: 27237 Lee County, NC. 27330 Lee County, NC. 27332 Lee County, NC. Based In Siler City And Servicing The Entire Lee County Area!, NC.